HAWTHORN has lured emerging Gaelic football star Conor Glass into the AFL system, signing the 18-year-old as an international category B rookie. As reported by AFL.com.au in August, the Hawks' long-running pursuit of prodigiously talented Irishman has finally paid off. Glass visited the Hawks' Waverley base three times for blocks of training, helping the lean 189cm prospect adapt to the foreign game. "The kicking's come fine, and all the attributes like the running and the tackling, but it's just more the style of the football," Glass said. "It's getting used to the type of the play and the stoppages. Gaelic's more free-flowing, but AFL's more stop-start, with clearances and stuff like that so that's probably the most different bit about it. "The first couple of years I just want to fit in and experience the life of an AFL footballer. "Hopefully I can play VFL and play consistent football and keep on improving on my skills. Hopefully I get an alright contract extension … I really want to be a consistent AFL player." 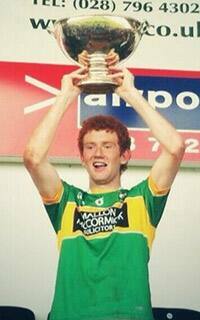 Glass hails from Maghera in Northern Ireland and has won a string of youth team Gaelic football titles. The lightly-framed youngster has been showered with praise in his home country for his coolness under pressure and brilliant handling of the round Gaelic ball – attributes the Hawks hope he can translate to AFL. "Conor has been on our radar for some time now and we are thrilled that he is finally a Hawthorn player," recruiting and list manager Graham Wright said. "He is a good mark of the round ball and has shown great skills on both side of his body. "Now it will be a matter of him honing these skills with an oval ball and learning the game of AFL." Glass is still studying at high school and won't relocate to Australian until after he graduates in June next year. The flame-haired Irishman joins New Zealand key forward Shem Tatupu on the Hawks' category B rookie list, with fellow Kiwi big man Kurt Heatherley recently upgraded to the senior list. The Hawks also have their eye on another Irish youngster, Conor Nash, a tall Gaelic and rugby union star who has trained at Waverley but is not yet old enough to be recruited to the AFL.